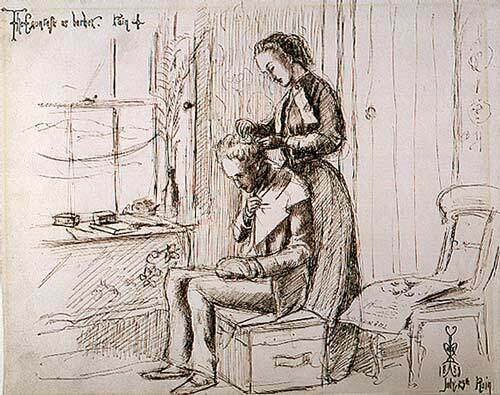 Lettered by the artist at upper left, The Countess as Barber. Rain. [Pain? ]; at lower right, 1853 / July 25th Rain.